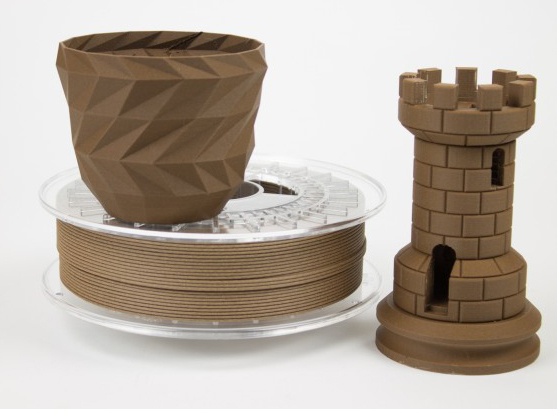 ColorFabb – Over the past couple of years, this 3D printer filament brand has become synonymous with innovation and breakthroughs in the 3D printing consumables space. The Netherlands based filament manufacturer has been releasing some of the most exciting 3D printing materials and this at a continuous pace. Curious to find out more about how ColorFabb keeps innovating, we recently paid a visit to their headquarters. Armed with a bunch of questions, we sat down for a coffee and a chat with Sander Strijbos, ColorFabb's Sales Manager. Luckily for us, our visit didn't stop at the offices but we also got a full tour of the facilities including the print room and the factory. Kudos to the ColorFabb team for being so open and transparent when a couple of bloggers come nosing around. What's the story behind ColorFabb – How did you get founded? 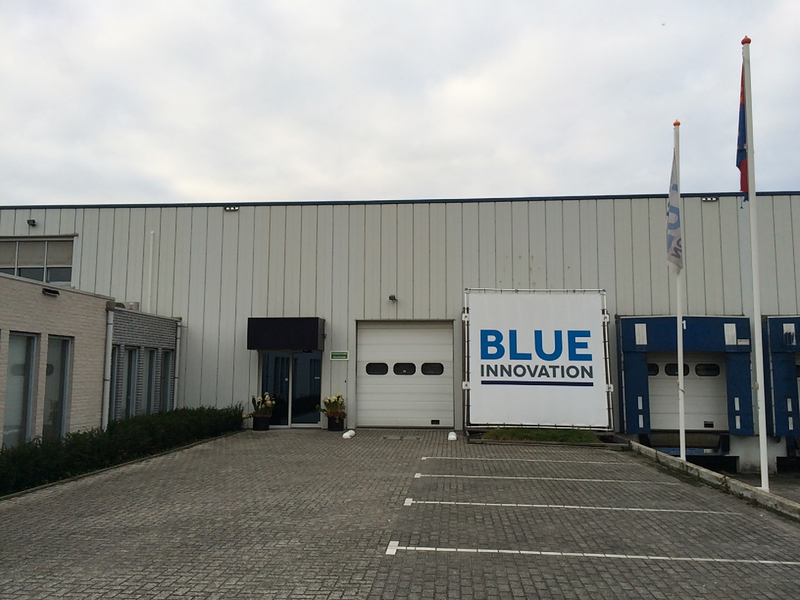 In 2011, Ruud (editors note: Ruud Rouleaux, the founder of ColorFabb) bought his first 3D printer, an Ultimaker 1. Ruud always liked gadgets and technology so 3D printing was something he found really interesting. The Ultimaker that Ruud had bought was actually in kit form and he put it together over Christmas 2011. When Ruud contacted Ultimaker he noticed that they were using PLA, a bio-plastic, and Ruud's expertise is in bio-plastics. This got him thinking since he was already selling a lot of colorants for PLA to his trading partners. Ruud's first idea was to use 3D printing to make prototypes for his customers. For example, if a customer was producing flower pots and Ruud was already supplying colorants to them, he wanted to also give them a mini flower pot in the exact same colors. This initial idea then led him to buy the first extrusion machine such that he could produce the filament before printing with it. But Ruud also started thinking about how PLA could be improved. He was wondering if adding PHA to the PLA might make it stronger and less brittle. This ultimately led him to think that if he is taking things this far, he might just as well start to produce and sell spools of filament. Having bought the first extrusion machine, Ruud spend about eight months to get the filament right and exactly at a diameter of 2.85mm. It took a while to understand the whole process, the dying, the mixing and the extrusion. Right around the time of the Rapid Pro 2013 he got the formulation right and finally he had a good product. That's when ColorFabb was launched as a brand. At the time, we had a ridiculously small amount of stock. Still, we launched our webshop and got our first order. A week later we got our second web shop order, a day later number 3 and number 4 then we got number 5, 6, 7 and then it started rolling. First resellers started approaching us and only a few months after we launched we were practically sold out. The demand was starting to get high with the many reseller requests such that we struggling to keep up with it. It took about two years before we were up with the demand. Today we operate six production lines, a logistic center and the company has grown from four to sixteen employees. How do you explain ColorFabb's success? Focus on quality. We have improved on quality control over the years to ensure a consistent and high quality filament in terms of diameter, color consistency, etc. If someone has problems or needs help printing with our material, we have a very active support desk who work with our customers to make the filament work. We do have the occasional problem, you don't produce as many spools as we do without having the odd problem. But whatever it is, a quality issue, a problem with shipping, we aim to solve it right away. Customers can always approach us when encountering a problem. We have a highly skilled and experienced support team. Each support team member does a lot of 3D printing, even in their free time. When approached by a customer, they will try to replicate the problem and in most cases they are able to solve the issue. Apart from quality, marketing is another factor of our success. We want the ColorFabb brand to be well known. We are producing filament and don't want to just watch it disappear into the wild. We want to be active in the 3D printing community, active on all sort of blogs and forums. We work with 3D Hubs on certain workshops to provide tips, tricks, settings and stuff like that. Those are the things that help us to be as open as possible towards end users. I don't know how other manufacturers do it, if they have the same service level. But our service level is something that we want to maintain. Who is ColorFabb's target customer? If you asked us this a year ago, the general company line would have been: everybody with a 3D printer. That is still true but we see that the market is now slowly moving towards companies. Especially with ColorFabb_XT, which is more of a functional material, often used for prototyping. We have a lot of customers who are designers, architects, universities, people who produce prototypes and this in a range of industries stretching from automotive to medical. The field of application is very wide. For example, last week there was a publication online and somebody got a sneak peak in the prototyping lab of Apple. There was one brand of filament there, next to their Ultimaker 2, ColorFabb! So even Apple uses our materials. You experienced exponential growth over the last years. How did you make sure your production capacity was able to keep up? We got a lot more efficient. Before, we had one production line for all the colors of all the materials and we produced to demand. If somebody ordered with us say, five spools of Traffic Red 2.85, we produced five spools of Traffic Red 2.85. Right after that we had to produce, say 12 spools of Ultra Marine Blue. Each time we had to change the colorants which takes time and generates waste. Now we only run one color, one diameter per machine per day. This is much more efficient. We have capacity of up to 900 spools a day easily, if we run two shifts. We have more output, we can approach more markets. If a reseller wants to order a full palette, that's over 500 spools, and we have it ready within two days. Before that took us about 4 weeks. Now we can ship actually mostly from stock and if we don’t have any stock we can produce in a few days. Is all your R&D done in-house? Yes. We have materials partners like Eastman for example, who do of course have their own R&D, but whenever they have materials that they want to have tested they ship it over to us. We make filaments from it, so the whole extrusion and 3D printing part is done by us. We then share results and see if we can bring the material to market in a commercial way. But, that’s something that we only do a couple of times a year with a certain material depending on the functionality of the material. How long does it take you to take a filament from idea to finished product? We have a lot of ideas and some ideas have been with us for years. But, if you take corkFill for example, from the moment we decided to go ahead with it to the point where we decided to launch it at the TCT Show, it only took us three weeks. In general it can take from a couple of weeks to several months to bring a material to the market, depending on the complexity of the material itself. Do you tune your filament's properties to work with a specific printer or printer brand? No. We are not currently producing for a specific printer. We do OEM production, we do produce for certain printer manufacturers. But, those materials are our materials on their spools without any branding from us. But it can happen that an OEM will want us to produce a certain grade of PLA for them. We can do that but the materials that we develop now, they’re not for one specific printer. For instance, ColorFabb_XT does not run on all printers. But we are also really open about the fact that you need a heated bed and be able to reach to 250-260 degrees at least to print. So that's something we are fairly open about but there is a certain grade of 3D prints that are perfectly fine with XT. And we have never designed any material to only work with this or that printer. We want to make all materials as broad as possible so you can print on as many printers as possible. You have been launching a lot of exciting filaments and this on a regular basis. Where do the ideas for new materials come from? It is often Ruud, he is the materials expert in our company, he actually knows about the materials, he also know what’s possible, he has the context. Then it is also about what we want to see ourselves, what are the possibilities and what does the market want. Since we have 3D printers ourselves, we are actually also our first customer. The guys in the print lab, they do nothing but 3D printing, also privately. They really know what they want from 3D printing material. That's also why we only release material when they have tested it on several of our own 3D printers. We actually have a wish list, but if I told you that and I would probably be announcing what we will be releasing in 2016. But hopefully within a year we can fulfill most of the wish list and those are the materials the market is waiting for and really looking forward to. So, it's safe to say that great things will come from ColorFabb in 2016? Yes, we will definitely keep developing new materials and 2016 should once again be a great year for us. In terms of materials, ideas and testing we are really, really excited about that before the end of the year we will release another material. For instance, we will release the new copolyester nGen end of November, which is also part of Eastman's Amphora range of materials specifically for 3D printing. nGen is ColorFabb's next Generation filament, made from Eastman Amphora™ AM3300 3D polymer. The low-odor, styrene-free material is uniquely suited for 3D printing enthusiasts needing the flexibility to print within a wide processing temperature range. Amphora AM3300 has good flow properties through the printer nozzle — even at lower temperatures, making nGen more workable at a wider breadth of temperatures, producing reliable results and resulting in less waste. Due to the unique combination of a low processing temperature and an elevated temperature resistance, the nGen filament can be used to create 3D prints that are both functional and durable. In addition to providing excellent functionality, the nGen filament will also be available in a large range of colors. Clear, white, black, light green, dark green, light blue, dark blue, red, yellow, orange, pink, purple, light gray, dark gray, silver metallic, gold metallic and gray metallic will be available from the start while additional colors will be added to the product line over time. Food safe filament – there seems to be a lot of confusion around this topic in the 3D printing community. Can you shed some light on this topic for us? Well, actually the ColorFabb_XT Clear, without colorants, is food safe (editors note: food safe means that the material can be in contact with food). The thing is, we can produce the filament as food safe material but once somebody prints something with it you would need to have it officially tested again. Food safety only applies to end products. So, you have to be really in complete control of the entire extrusion process, which we aren't, because people extrude again on the 3D printer we do not know what they print on the 3D printer. Other than filament you are also selling pellets to be used in filament extruders. What are your experiences with that so far? 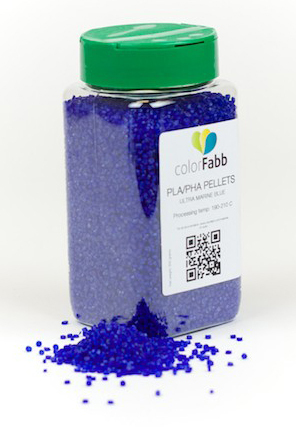 Pellets constitute a very, very small market which we are happy to serve, but filaments will remain our main business. You have already shared a little bit your plans about your future at least as far as you can go but where do you see ColorFabb within five years? Within five years? Well that’s a really tough one. Ask me where ColorFabb is in six months, I am even not sure :). It’s a tough question but I hope we will still be growing even further. I hope we are still one of THE brands in 3D printing filaments. I think the course that we're looking at right now is functionality, focusing on specialty and functional materials. Co-polyester we feel is future of 3D printing. Functionality is a broad term, how do you define it? 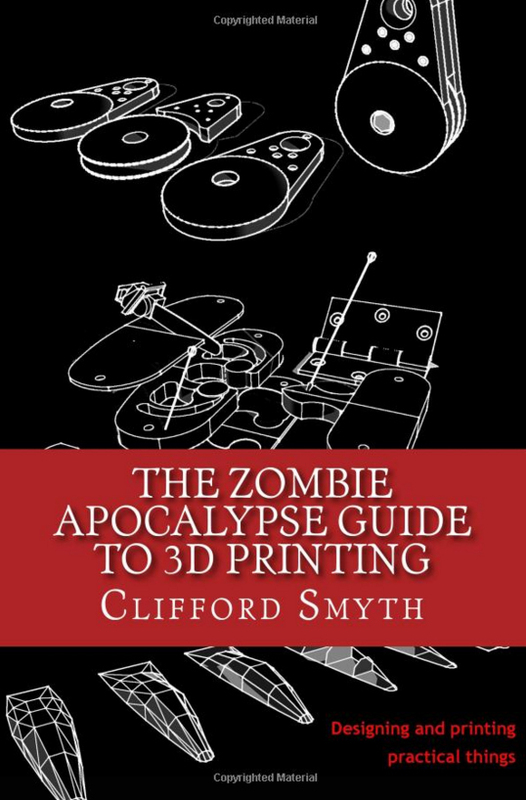 In short, you should be able to use the 3D printed objects in everyday life. For example, this could be a gear or something like the small water pump (that actually works) that we printed from XT. Another example would be the Print+ project for 3D printable DIY headphones. They really needed a rigid material to print with. PLA wasn't up to the task because it is too brittle and it breaks. Going from the Yoda figurine to something that you can actually use? Yes. We see function as usability. People should be able to use the material and whatever it is that you are printing, it should be high quality, in great colors and functional. 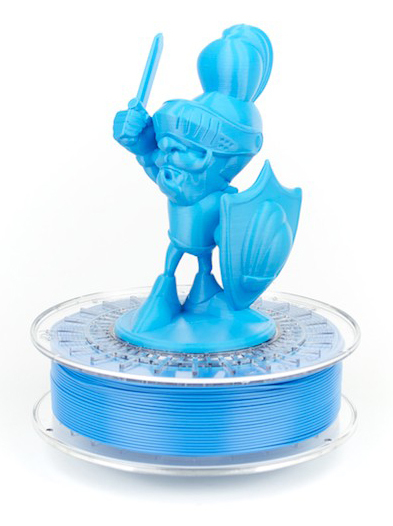 Of course, we also have our metal filament range where functionality is defined a bit differently: you can polish your 3D and you can really have a nice statue. This is also some kind of functionality, though a more aesthetic functionality. Another keyword is printability: every material should be fairly easy to print. This is not a plug and play technology yet but we want our materials to run on a lot of printers. Reliability: if you use our materials are certain printers that we have tested on ourselves and FDM printers in general, hit print if all the settings are okay and it should print. It should not be that you start a print before going to bed and in the morning you pray that the print succeeded. Safety: the safety of 3D printing materials. 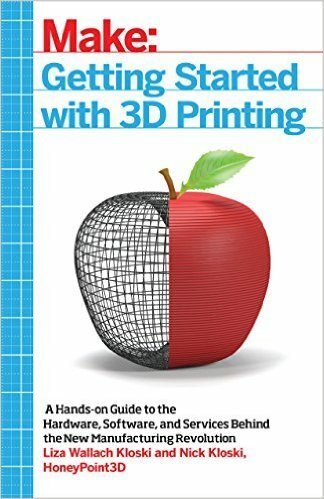 You should be able to use 3D printing materials in a classroom. You should not be afraid to have a 3D printer in your living room with kids running around. Of course, there is still the hot end but you should not need to worry about the emissions and outgassing that come from the materials. Those are things that we think are key: functionality, printability, reliability, safety. That's the future for us in terms of materials. 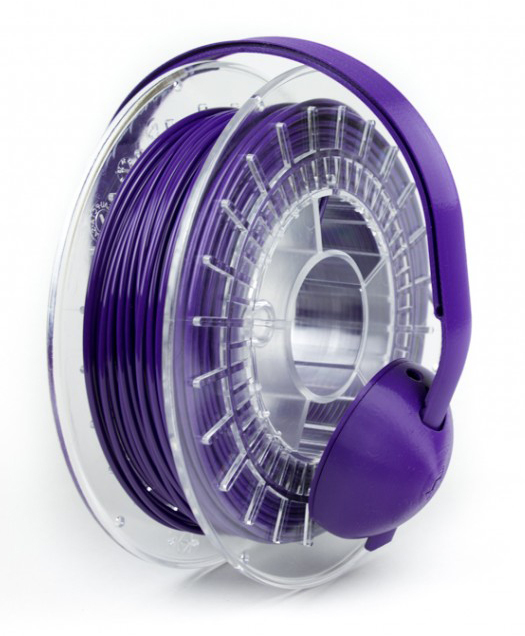 ColorFabb has undoubtedly become the brand in specialty filaments. As with any success this also attracts copy-cats. Are you doing anything specific to fight infringement of your IP? 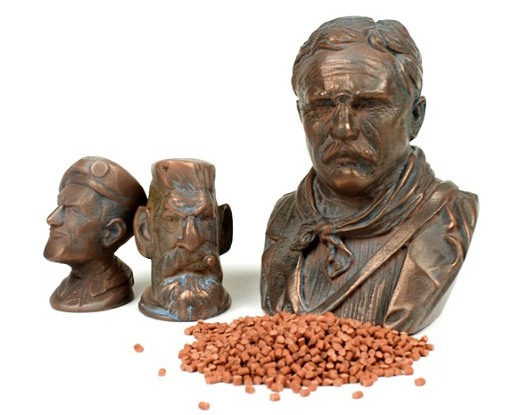 Our special materials, like the bronzeFill, copperFill or brassFill are fairly unique. There is a whole process in pre-compounding, compounding, extrusion, the balance between plastic and metal particles such that we are fairly safe that our process is hard to copy. We also source from highly specialized companies, we get prime raw materials, we got our own expertise in-house. Will somebody copy us? Yes. Can we do something about it? Probably not. Even if we see that somebody comes up with some kind of bronzeFill-like material we have to analyze it but there is very little we can do about this. It is an open market and in terms of materials we can only make sure we keep innovating and stay ahead of our competition. This is not a battle that we are willing to invest in. Right now we are confident that our materials are unique. We want to be not only the first to launch certain materials, we also want to keep improving on our existing materials. We don't focus on other companies too much. We want to focus on our own strengths. Those should be key strengths and not other companies or their weaknesses. In how far do you see SLA technology as a threat to your business? SLA technology has been there for a long time. Is that a threat? I don't know. I mean FDM came up after SLA and SLS. FDM is still very low cost compared to the other technologies. I think there will always be an attraction to that, also when more and more people will have a 3D printer at home, it will probably be an FDM printer because it is low cost. To 3D print, the bar is getting lower and lower and that's really why FDM will be here to stay for a while. SLA, there’s definitely a future for that but I don't know if there is a future for ColorFabb in there. This is something we have to investigate but we are aware of the developments of SLA and SLS. Right now it's not a huge market and it's already quite saturated from a materials point of view. It is not a market that we're looking into nor is it a big threat for us right now. Last but not least: ColorFabb is EU based. A lot of our readers are from the US and would certainly like to know if you have any plans to expand in the US market? We are all looking at several options to expand our US market but that still something that has to be developed as we also see that aside from EU market the US market is the biggest. I think that the EU combined is about the same as the US market. We already have several very dedicated resellers in the USA. They are selling quite a lot but we still think there's a big market there. We see potential to expand and are evaluating several options to pursue. There you have it - a behind the scenes peek at ColorFabb, one of the leading innovators in the 3D printer filament market. Feel free to share this with anyone interested in 3D printer filament.